1/13/19, WPH Press, Ballaghaderreen Co. Roscommon, Ireland- The John Gaffney Memorial Handball Tournament, sponsored by Drury Oils Ltd., served as the first 40×20 GAA singles ranking event of 2019 and third 40×20 GAA ranking event of the 2018/19 season, with current All Ireland 40×20 champion and Irish #1 Martin Mulkerrins headlining the field alongside Diarmaid Nash, Robbie McCarthy, Eoin Kennedy, Colin Crehan, Sean Kerr, and a number of top Irish stars seeking the prestigious Gaffney title in Ballaghaderreen Co. Roscommon, Ireland. The John Gaffney Memorial was named in honor of the late John Gaffney, one of the great coaches in the history of Irish handball, responsible for teaching a number of the top Irish junior handball players in Ballaghaderreen. The Irish #1 discovered the depth of the Gaffney field first-hand in the quarterfinals, drawing Irish legend Eoin Kennedy. Mulkerrins took the first against the professor but could not cross the line in either of the next two games, falling to one of Ireland’s greatest champions. 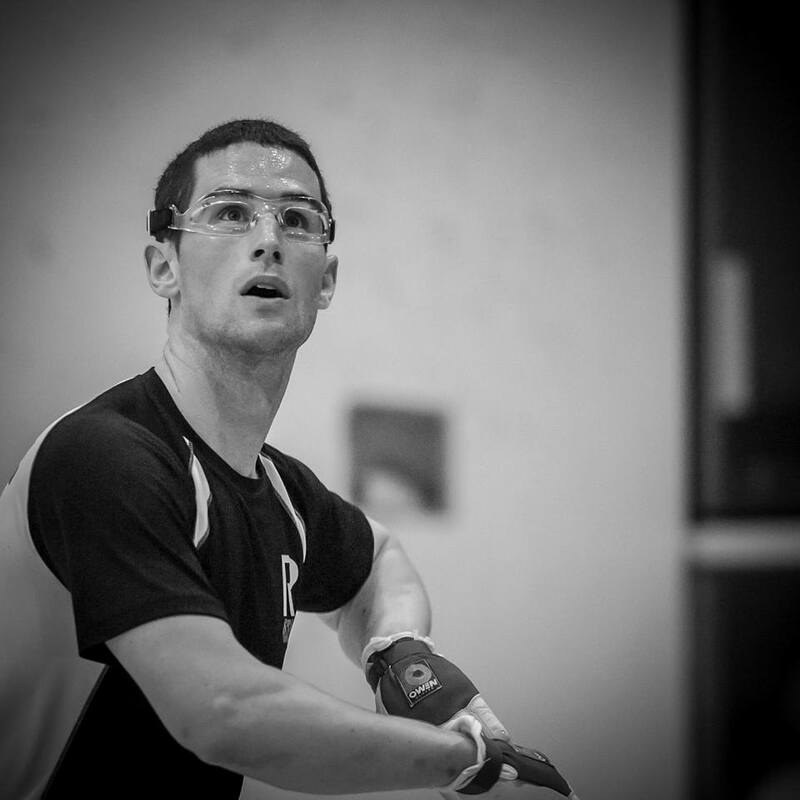 Robbie McCarthy was motivated to erase the sting of a lopsided two-game loss at the hands of Mulkerrins at the recent Moycullen Open, dropping Brian Carroll in two games to setup a clash with his greatest 60×30 rival in the semifinals. The bottom bracket featured the game’s steadiest player, Diarmaid Nash, as “D” continued his quest for the Irish #1 ranking. Nash ousted the dangerous Peter Funchion in the quarterfinals to advance to the semifinals, where he would face his All Ireland doubles teammate, Colin Crehan. McCarthy dismissed his 60×30 rival Kennedy in the upper bracket semifinals to advance to his first ranking event final of the current 2018/19 season, while Nash ousted Crehan to advance to his final of the season, fighting off game point in game one against the two-handed offensive machine and cruising in game two. The finals pitted World Handball champion doubles teammates Robbie McCarthy and Diarmaid Nash in a clash of craft, power, and precision. Nash was too strong for his world doubles partner, buzz-sawing “The Buzzsaw” in two games to collect his second ranking event title of the season. Thank you to GAA Handball for updates throughout the weekend. 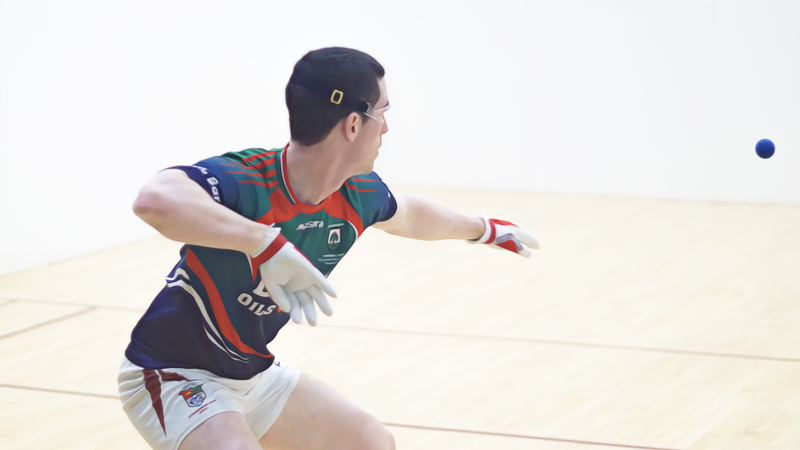 Photo of Eoin Kennedy courtesy of GAA Handball.